The Iceland Gull is common in North-America and Greenland. In winter it sometimes crosses the Atlantic and appears in the north of Britain. Striking is the lack of black spots on the tip of the wings. 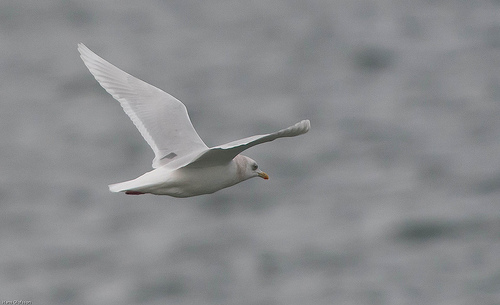 The Iceland Gull doesn't have black tips on the wings. 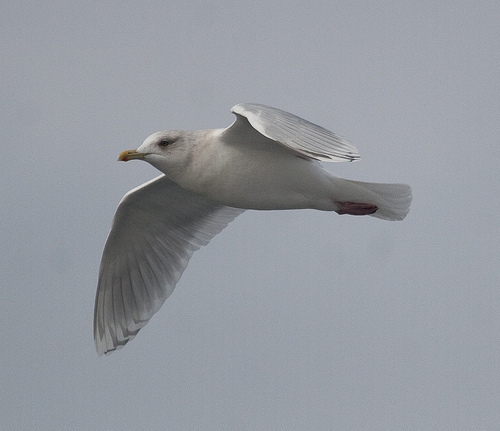 The Iceland Gull has the size of the Herring Gull. The Glaucous Gull is much larger. The Iceland Gull has sharply pointed wings.